Isle of Raasay distillery has launched 30-litre casks of its Raasay single malt for purchase, in a bid to make its first expression ‘more accessible’ to whisky enthusiasts. Made from ex-Speyside Scotch whisky oak casks, the smaller casks will sit in maturation alongside the distillery’s regular 190-litre first-fill ex-American whiskey casks on Raasay before being bottled after three years. Isle of Raasay distillery co-founder Alasdair Day said: ‘We wanted to make our first single malt more accessible in these new smaller casks. Each cask is priced at £999, with further excise tax and VAT charges to be paid after bottling, and has been filled with unpeated spirit at 63.4% abv, which the distillery says will ‘age into some of the first ever Raasay single malt’. 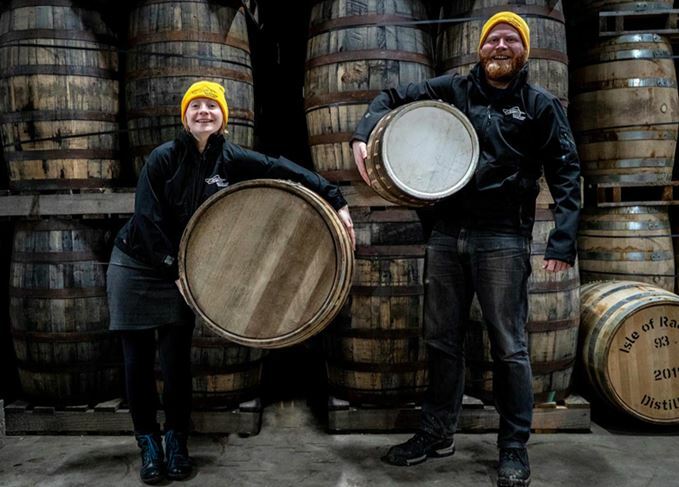 The casks are available at the distillery or online at raasaydistillery.com, and buyers can visit their cask at the distillery while the whisky matures, and then keep the cask after bottling. The island distillery began production in September 2017 and predicts that it will launch its ‘lightly peated and fruity’ first single malt in 2020. Recent graduate Iain Robertson will take charge at the distillery, due to open in September.